After a 6 year hiatus, I've finally decided to begin applying for an Idaho sheep tag as a resident. I haven't been in the sheep game for a while. Aside from the Hell's Canyon auction game, what are some of the better units to attempt to draw in Idaho? I've been all over the Frank Church and I've noticed it holds good populations of sheep, but very few mature rams. I'm not particularly interested in a California bighorn even though Idaho has a good population of them. Any educated help would be greatly appreciated. i'd look at 37 this year. they split the hunt into 2 hunts and added a total of 2 tags. I'd heard that. My only reservation is that it shortens the season(s) for those who draw. Very true, I've hunted bears there and seen plenty of sheep. Thanks for the recommendation. One way to figure it out would be to go through past harvest statistics and take some averages on what's been killed. Sheep are somewhat unique in that the genetics in a particular area limit the potential. What I mean by that is, pretty much any given Unit in Idaho could potentially have a 350+ bull or 200+ mule deer by some random chance. Sheep aren't that way, they only grow to what the genetics of each area allow. Scrolling through past harvest stats and looking for Units that consistently produce good bases on the harvested sheep would be a good place to start in my opinion. All the harvest stats are available on the F&G website. Thanks for that advice, I went on F&G website. I didn't realize how detailed their stats are. Some units they track them right down to the drainage that sheep were harvested in. It's also a 3% chance of drawing. 3% is pretty tough, but so are other units that had a median horn length of 20". Getting a sheep tag in an area with decent genetics is a long shot at best I suppose, but somebody has to draw. No kidding that's a nice ram! Congrats! Care to share the story? Well, that's a southern Idaho "California bighorn"...crazy that they call them that, they are native to British Columbia. I could tell that by the pic. I don't have anything against California bighorns, I do intend to harvest one someday ( hopefully as nice as yours, but that's a tall order). I'm just more interested in Rocky mountain bighorns. 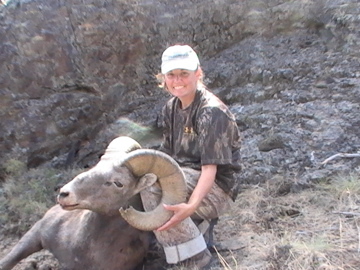 That ram of yours is a true trophy that only a very few of us dedicated hunters will ever get to hunt. Congratulations again on your beautiful ram. Hope I didn't come off as condescending towards those who hunt California rams. I respect all sheep hunters. Nah, no worries. No offense taken, just keep in mind that the Cali sheep are a great alternative to the RMB, that was my point here. I drew rocky in '12 and for the first time ate tag soup. Between the unreal fires (all surrounding units were closed) and rarity of sheep in the Frank Church; it was futile. A nice young muley buck was my reward for countless hours down there, and ultimately I was happy. I'll share a story when I get the time....It was a tough mofo down there, but the hunt of a lifetime. Unlike the RMB sheep, one can actually SEE the Cali's; the country lends itself to that, and the experience is so much more rewarding to me personally than spending so many hours glassing thick timber with no sheep. I've had the same experience in the Frank Church guiding deer hunts. I was always on the lookout for sheep, but it was usually weeks in between sightings and mature rams were as rare as powerball jackpots. 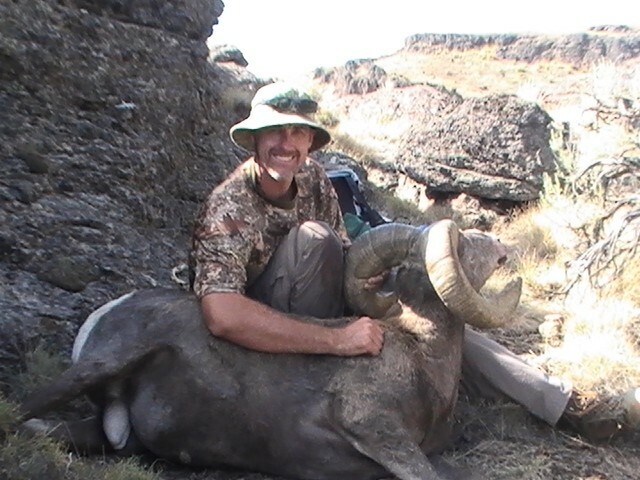 I've spent time over in the Owyhee area and seen some really nice rams there. You are 100% right about being able to SEE them. I will have to check the regs for harvest data and drawing odds south of I-84. Maybe that'll be my next endeavor...... Guess I better make up my mind soon, the application period is here! Well, sheep application is in. Now I get to cross my fingers until June when I find out I was unsuccessful again! Unit 30. I talked extensively with some friends I used to guide with that are much more familiar with that area than I am and learned that there are big rams there that rarely get hunted, so I decided to give it a try. Draw odds are still slim, and with my luck I'll never see a tag with my name on it, but I gotta try. No one has ever drawn a tag they didn't apply for!